Welcome to Coopers, we are a leading driving school based in Bromsgrove. You will find all our driving instructors patient and friendly, and will give you the skills you need to get thorough your driving test quickly and safely. We can help you with everything from booking your driving test, booking your theory test, theory test training and even towing a trailer. We also offer off-road lessons with one one day theory workshop and off road training for the under 17's. 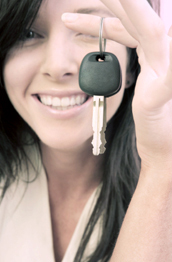 We will make sure is comfortable, value for money and we aim to give every chance to pass your test first time. We can help you learn to drive in all locations around Bromsgrove and throughout Worcestershire including Holt End, Stoke Prior, Upton Warren, Fairfield, Lickey, Branson's Cross, Walkwood, Ham Green, Hewell Lane, Woodgate, Hanbury, Mappleborough green, Hunt End, Astwood, Studley, Headless Cross, Webheath, Catsall, Sidemoor. Drayton, Studley, Walkwood, Barnt Green, Longbridge, Illenhall, Feckenham , Holberrow Green, Alcester, Inkberrow, Arrow, Wychbld and Wixford.